WorcesterVista.com » Stourport on Severn. 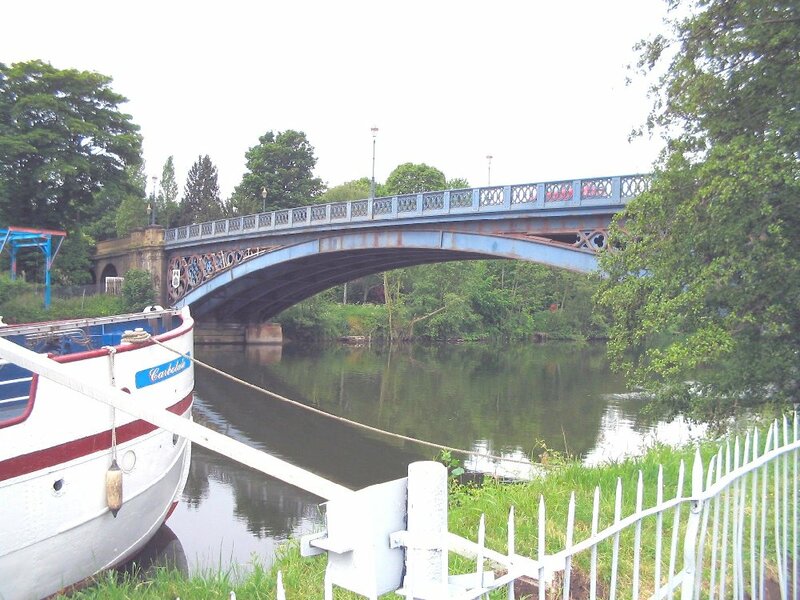 Stourport bridge was built in 1870 as a toll bridge, it has a single cast iron span. Unusual feature on Stourport bridge. 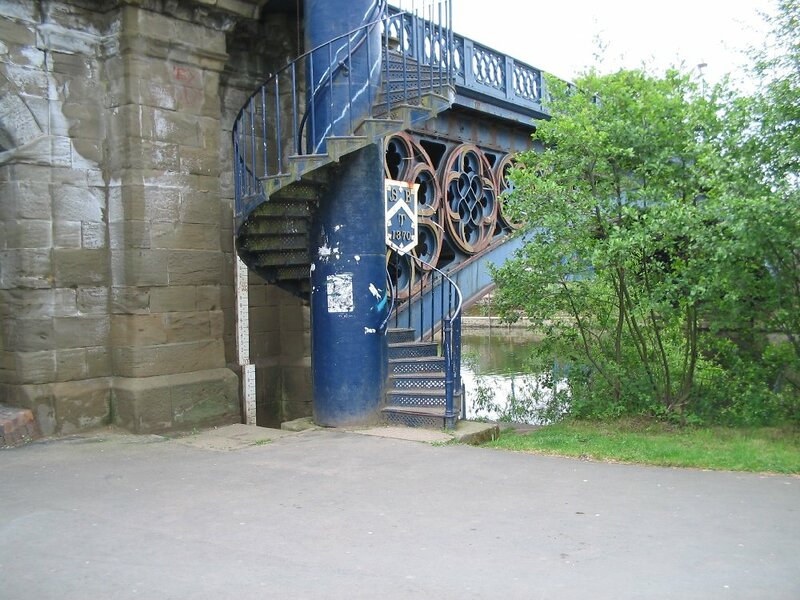 This unusual cast iron spiral staircase on Stourport Bridge, could be unique. The white markers near staircase are flood markers. Stourport is nicknamed Birmingham Seaside, however there is not even a beach. 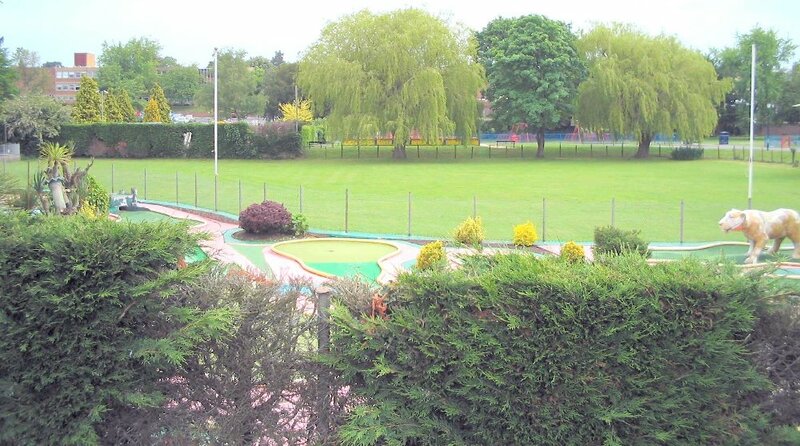 The riverside park has childrens rides, go karts, pitch and putt. Motor boat and other boat hire is available nearby. A funfair and amusement arcades are also near to hand. There are plenty of Clubs, pubs and fish and chip shops in Stourport. Huge carparks adjoin the riverside, even so at bank holidays, it is sometimes diffucult to find a space. 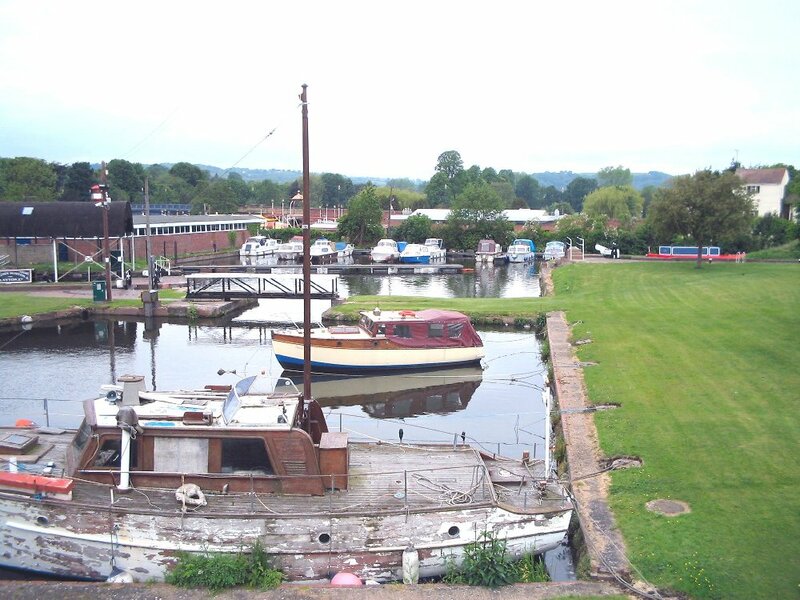 Stourport is at the junction of the River Severn and the River Stour. The town owes its existence to the Staffordshire and Worcestershire Canal, which connected with the Severn in 1772. 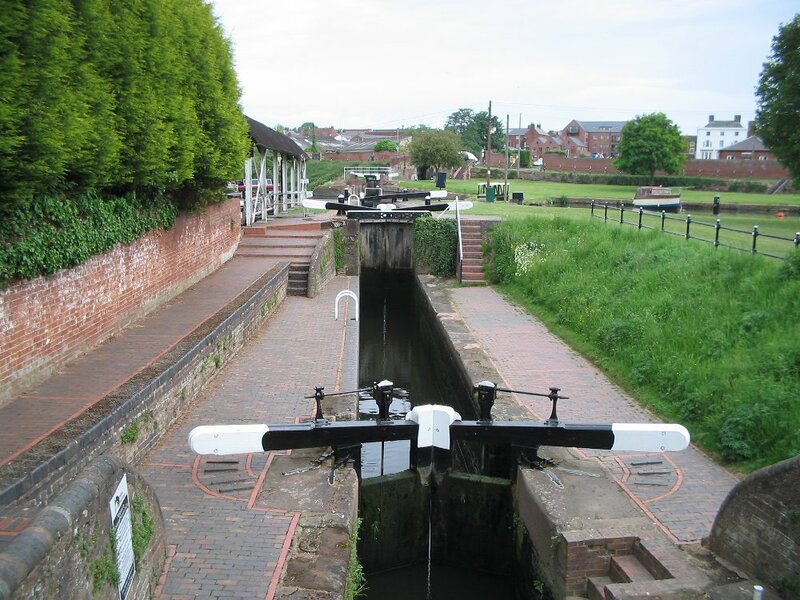 When the Staffs and Worcestershire Canal was opened in 1776 Stourport became the most important Midland inland port after Birmingham, linking the Severn with the Trent. 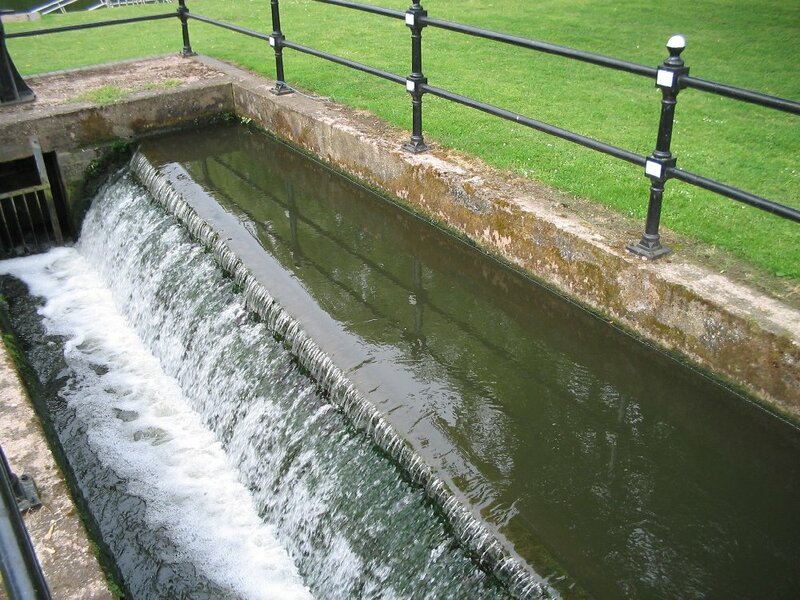 The overflow at side of lock takes surplus water on down the canal, they are called “sideweirs” or “byewash”. If they are round with a rubbish trap over, as on the Staffs and Worcester, and originally on the Droitwich canal, they are “James Brindleys Lobster Pot Weirs” Max.